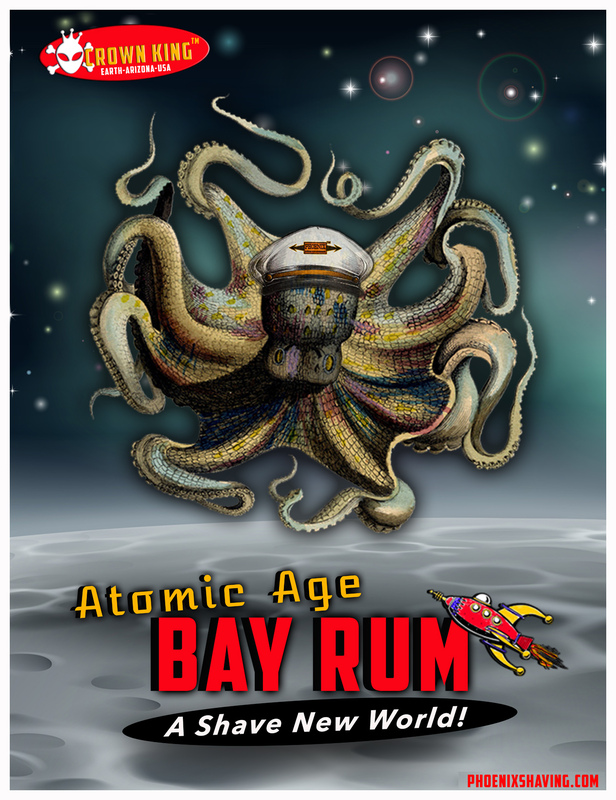 Midnight Sunday (12am Monday) Atomic Age Bay Rum Bundle Deal Available...and More! CaD314 Douglas, Atomic Age Bay Rum sounds awesome!! Is there any chance that it might find its way to a Canadian vendor at some point? I am a lover of bay rum and have a couple of bottles of your original in both alc and de-alc formulas under the HTGAM banner. If I'm unable to get hold of this stuff my life will be a little less bay rummy and we can't have that. (10-24-2017, 07:56 PM)Mickey Oberman Wrote: Whazzzzit? I'm gonna go with octopus repellent! (10-24-2017, 06:52 PM)Marko Wrote: CaD314 Douglas, Atomic Age Bay Rum sounds awesome!! Is there any chance that it might find its way to a Canadian vendor at some point? I am a lover of bay rum and have a couple of bottles of your original in both alc and de-alc formulas under the HTGAM banner. If I'm unable to get hold of this stuff my life will be a little less bay rummy and we can't have that. Hey Bud...great question! YES, Italian Barber will have it soon!!!! I just shipped it out a couple days ago. I should mention that for my next big release I will be sure to time it better so that my Canadian friends can get it at the same time! Nice, lots of choices for you then! I have nothing against the scent, just don't want to burn people. take care my man! Excellent! Thanks for the information, I figured it probably would be available at Italian Barber but you can never be too sure and we are talking about bay rum here right? Is this a limited run, small batch thing? I'm not familiar with the product line. I got rid of all my bay rum because the aftershave lit me on fire. Coulda been the clove!